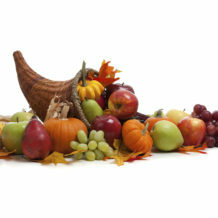 Join us Thursday November 23rd, for a traditional Thanksgiving dinner. We will be serving from noon-4pm. Reservations are STRONGLY recommended – we are filling up fast! Please call (209) 286-1401 to reserve your family’s spot! There is no regular dinner service on Thanksgiving. The restaurant and the saloon will both be closing at 4pm so that our staff can celebrate the holiday with their families.